The College Baseball Primer is specifically designed for high school and college student-athletes who want to make the college team, high school baseball coaches, and parents of high school and college student-athletes. The College Baseball Primer offers advice and strategy on how to beat the odds and make a college baseball team. The College Baseball Primer covers: * Student-Athlete Eligibility, New NCAA Rules, Qualifier vs. Partial Qualifier, Scholarships, Test Scores, Core Course Requirements, Playing While Making Progress Towards a Degree, Recruiting Guidelines, Transfer Rules, Reshirts; Contacting Coaches. * Camps and Showcases, How To Get Noticed By Coaches, How Scouts Evaluate Players * Agents vs. Advisors, MLB Draft, Walk-On; Summer Ball Questions. * Checklists For Parents and Student-Athletes. 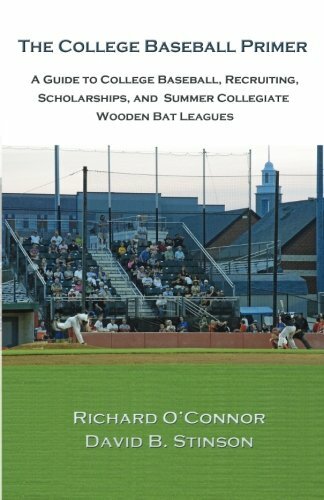 The College Baseball Primer includes a complete list and email addresses for the 1600 plus college and university baseball programs in the United States, as well as a comprehensive list of summer collegiate wooden-bat leagues. The College Baseball Primer is your guide to making your college baseball team.